HOLLYWOOD, Calif. – GREASE: LIVE!, Paramount Television’s sensational reimagining of the beloved musical Grease, was a hit with critics and audiences alike and now viewers will have a chance to own a piece of the landmark live television event. Beginning March 8, 2016, fans can visit Paramount.com/GreaseLive to bid on collectible items featured in the spectacular production such as Sandy’s blue cashmere cardigan, Danny’s gym costume, Kenickie’s “Greased Lightning” overalls, and much more. Proceeds from the sale of nearly 100 props and costumes will benefit the VH1 Save the Music Foundation, a nonprofit organization dedicated to restoring music programs in America’s public schools and raising awareness about the importance of music as part of each child’s complete education. 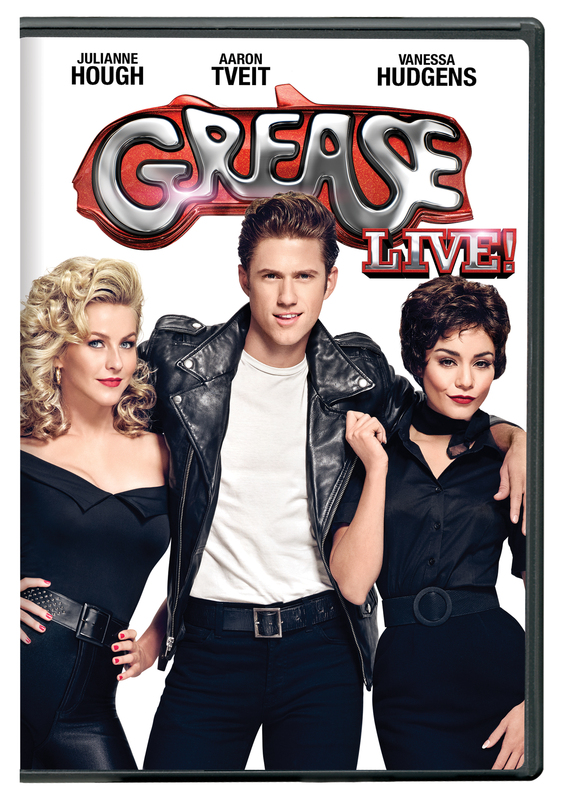 The auction will run for one week, ending on March 15, and every person who purchases an item will receive a GREASE: LIVE! DVD and a replica crew badge like those worn by the production staff. Available beginning March 8, the GREASE: LIVE! DVD boasts exclusive bonus features including a behind-the-scenes look at the monumental efforts behind the live production, the actors’ transformations into their characters, the choreography, cast interviews and more. GREASE: LIVE! is also available on Digital HD. Featuring a young ensemble cast, GREASE: LIVE! reintroduced some of the show’s most memorable moments, unforgettable music and timeless love story to an entirely new generation. The production drew upon both the original 1971 musical by Jim Jacobs and Warren Casey and Paramount’s 1978 feature film adaptation to create a never-before-seen version with multiple modern surprises. GREASE: LIVE! was produced by Paramount Television. Acclaimed film, television and theater producer Marc Platt (Wicked, Into the Woods) served as executive producer; Tony Award-nominated director Thomas Kail (Hamilton, In the Heights) was the director overseeing the stage direction and Alex Rudzinski (“Dancing with the Stars”) was the live television director. The live television adaptation was written by Broadway writers Robert Cary (Anything but Love, Ira & Abby) and Jonathan Tolins (Buyer & Cellar, The Last Sunday in June).